This gaffed deck is a one trick pony, but I will bet on that horse every time. 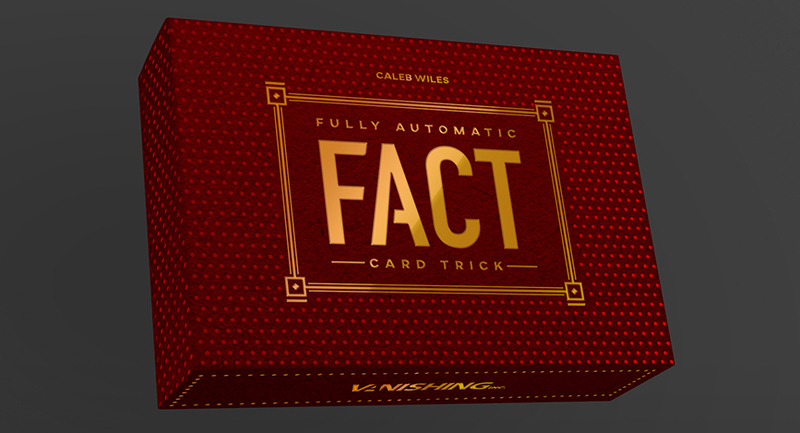 There are very few decks that are worth the pocket space when they allow you to perform only one trick, but this trick, FACT (or Fully Automated Card Trick), is well worth giving up some coveted clothing real estate. This trick gets the highest recommendation. 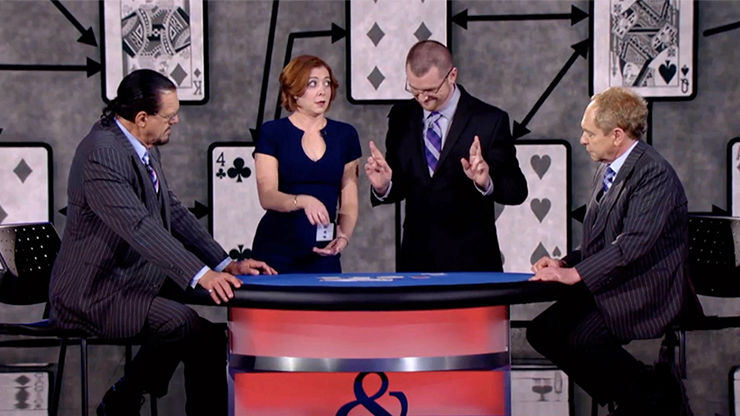 Wiles appeared on Penn & Teller’s magic television show Fool Us and performed this trick. Although Wiles did not fool them, it seemed to me that they did totally know how he did the trick. In fact, they only guessed one part of the trick and that related only to the selected card – nothing else. Nonetheless, Penn was clearly disappointed that Wiles did not get the “FU” trophy. Watch the video on YouTube! With this trick you have a spectator pick a card by dealing the cards down and stopping whenever they want. The spectator then follows written instructions so that it seems that the spectator is actually doing the trick. In the end, the spectator herself finds the chosen card in a cut and shuffled deck and it seems impossible. Then, there are two kickers. First, the other three cards to the four of a kind are incredibly revealed on the top of seemingly random piles. And, then, when the piles are cards are turned over the selected card is named in a written note. With your purchase you get a beautiful deck of red bicycle cards with very well made custom cards. You also get extra cards so you can customize the cards to change the presentation. You also get a link to a viewable (not downloadable) 35 minute instructional video performed and taught by Wiles. The instructions are easy to follow and this trick is very easy to perform. I would have liked to see a live performance of the trick, but Wiles does it in studio without any spectators. The gaffed deck requires a somewhat complex set-up and it is very precise. If you mess up the set-up, you will crash and burn. Although the set-up makes sense once you know the trick, I wrote down the 20 steps to make the deck performance ready. So, my slight criticism is that the trick should have come with a one page PDF showing you how to set up the deck so you don’t have to go back to the video. No biggie! I really love performing this trick. Although it is not actually “fully automatic” whatever that may mean, it kind of seems like it is. The performer needs to know a few steps and it is not tough stuff. I have received off the hook responses from my audiences and this is definitely a worker. As alluded to above, you cannot just cut the deck and reassemble it in front of spectators so this may be best suited as an evening closer. It certainly is strong enough. The reason you cannot reset quickly (it may take a minute or two of moving around many cards) is that the deck is shuffled and cut so many times that you end up with a deck that needs close examination to put the pieces back where they belong. In a way, that is the beauty of the method. It just seems totally uncontrolled by the performer. Your spectators will believe that the trick is an ordinary deck, with some specially printed instructional cards, but they cannot closely examine or handle the entire deck. That is ok because they are so stunned and they believe the deck is totally normal. I wonder if Wiles feels that the creation of FACT is a career milestone. I wonder if he feels totally pumped…because he should. I ponder the question – does Wiles feel tremendous pressure to outdo himself? Whatever the answers are, he should be totally proud to be the creator of this awesome trick. 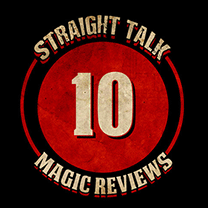 Thanks for Murphy’s Magic for asking me to review this superb trick.